Jim Reese spent a good part of his military career in 1st SFOD-Delta, and has been called “one of the finest special operators in the modern military” by the Commander of Coalition Forces of Iraq and Afghanistan. He played a pivotal role in the first stages of the Global War on Terror, right after September 11, 2001. His initial role was to bridge the gap between the Department of Defense and the CIA leading up to and through the U.S. invasion of Afghanistan. And from there he was instrumental in leading the hunt for Osama bin Laden in the early days after the invasion. From these efforts and his time working in Special Operations, Jim Reese understands leadership in combat…leadership in times when it matters most! 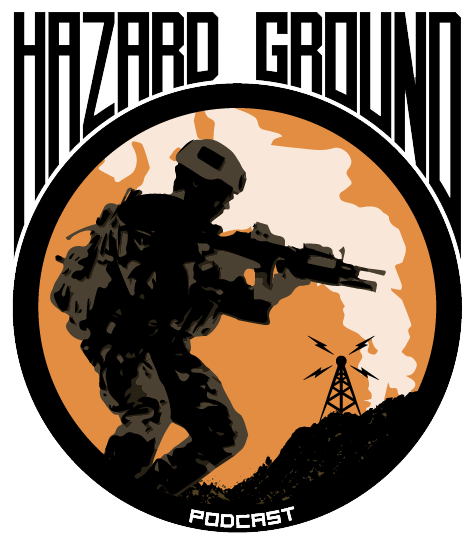 Hear his unique story, and what it’s like to lead at the highest levels, on this follow-up to Veterans Day episode of HAZARD GROUND! If you shop at Amazon, go to www.hazardground.com, click on the Amazon banner on the home page, and do your Amazon shopping from there. IT COSTS YOU NOTHING, and it helps the show out tremendously! THE BEST PART IS we’ll be donating the proceeds from this partnership to the vet organizations featured on this podcast. So help us out, help out these great organizations, and head over to hazardground.com and click on the Amazon banner today, and shop away! Thank you, thank you, thank you for listening…Spread the word, tell a friend!! Subscribe, rate, and review on iTunes!